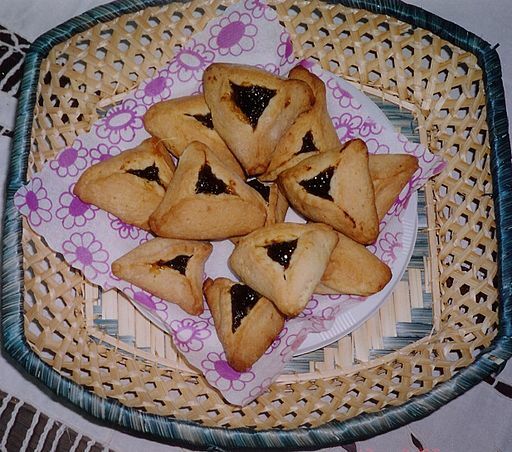 It’s Purim on Sunday and Monday this coming week. 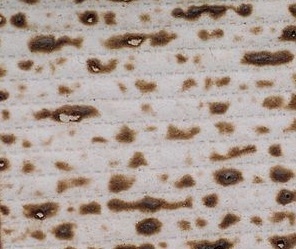 The holiday is marked by the reading of the Megillah – the Scroll of Esther, a festive meal, and the giving of gifts to the poor and mishlochei manot – Purim baskets – to friends. While the latter is part of the holiday’s Jewish Law obligations, it’s easy to go overboard and spend many hundreds of shekels. This year, however, a new nationwide poll by the Chasdei Naomi charitable foundation found that Israel’s worsening economic situation is leading to cutbacks on this venerable if oft-times too lavish tradition. According to the poll, 10% of Israelis plan to cut back on their mishloah manot expenditures by up to 50% this year compared with last. How much does that mean tachlis? Well, the poll found that, of the 58% of the population that makes it a practice distribute Purim packages, 28% spend up to NIS 50 a basket, 26% go between NIS 50 and NIS 100, and 26% are willing to spend over NIS 200. Sometimes, you don’t even have a choice. Giving to your children’s classmates in kindergarten and school is obligatory (at least, unless you want your child to be socially shunned). But the practice among our friends, of preparing up to 20 different packages and running them door to door on Purim day, could be cut, both in terms of what’s in the basket and how many people you give to. Buying cheaper products can also help. An article on the subject in Haaretz today suggested that by buying private label treats at major supermarket chains, you can save big: up to 20% at Super-Sol and 31% at Mega. Making your own hamentaschen instead of buying from Roladin (which goes as all out for its Purim cookies as it does for Hanukah sufganiyot) can also help. However you do your analysis, you don’t have to break the bank on Purim while still celebrating the holiday with lots of joy. After all, one of the holiday “slogans” is not being able to tell the difference between things. Whether that’s the good vs. bad of Mordechai and Haman, the story’s protagonists, or the total tastiness of the munchies in a mishloach manot, at the end of the day, all will be forgotten. Posted in Budgeting. Tagged with Budgeting, Holidays, Israel. A typical Customer Service call center…maybe not in Israel! Good news for weary call center victims – your call must now be answered within 3 minutes in Israel from the major utility and communication providers. The list, according to Haaretz, includes cellular, Internet and television service providers; natural gas providers; water utilities and the Israel Electric Corporation; and firms providing ongoing medical support services, such as Natali, Shahal and Bikur Rofeh. If the switchboard is too busy and an agent won’t be able to get to your call within the 3 minute maximum, you must be given the option to leave a message and the company must return your call within 3 hours. During that period, the company must make at least two attempts to reach you and if they don’t succeed after the second try, the company must leave a message too. If you choose to remain on the line, the company must tell you how many other customers are ahead of you and to give an estimated waiting time. 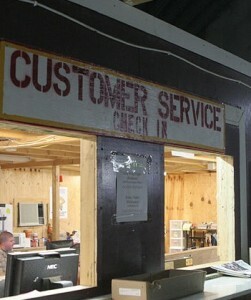 Customers must also be given another chance to leave a message. If you call less than 2 hours before the call center closes for the day, your call back must be within the first 3 hours of the following business day. This is all good news for consumers, although it’s not heard to imagine a scenario where company and customer play phone tag for days, despite the best intentions. Nevertheless, I’m always delighted to see even the slightest moves towards more responsive customer service in Israel. We still have a long way to go…or do we? At least all our calls are answered locally. I haven’t seen any outsourcing of Hebrew speaking call center reps to India. I cannot tell you how much of my time has been spent on the phone or in person with Customer Service at our cell phone provider Orange to negotiate canceling the hefty price we’ve paid monthly for years for unwanted Internet coverage. Orange has levied a fee for Internet access for all our 3rd generation phones even if we are fastidiously frugal and never use it. So here’s some great news! 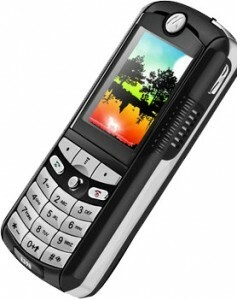 No longer will the customer of a cellular phone package in Israel need to pay for services he or she does not want. Please read this important article by The Jerusalem Post’s Judy Siegel-Itzkovich about the new regulations coming into effect. Posted in Budgeting, In the News, Saving Money. Tagged with news, Saving Money. Haaretz is reporting that the average gross salary of Israe’ls 2.9 million salaried workers was NIS 8,172 a month as of May, 2010. 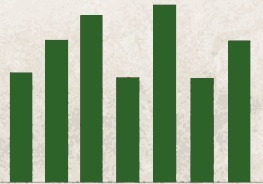 That was an impressive increase of 4.5% compared to May 2009 but it was 0.8% less than the average for April 2010. The numbers are from the Central Statistics Bureau in Israel. The highest average salary was among employees of the Israel Electric Corporation and the Mekorot water utility, at NIS 20,484 a month. Employees at financial companies earned an average of NIS 16,911. Public administration workers averaged NIS 12,273, and industrial employees received NIS 11,332 per month. Teachers and social workers remain near the bottom, at NIS 6,428 and NIS 5,312 respectively. Agriculture work pays slightly better than social work at NIS 5,524/month. At the very bottom: food and hospitality: NIS 3,965 per month on average. If all this makes you want to take out a loan or go into overdraft – well, you know my motto: don’t. Now a rabbi has backed me up. Ramat Gan’s Rabbi Yaakov Ariel says that those who do not have a credit balance in their bank should not overdraw. His ruling is complex, drawing on the religious concept of a “transaction permit.” The full details are on the YNet website. Posted in In the News, Israel. Tagged with Israel, news. 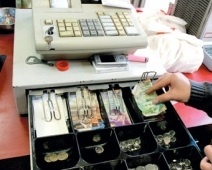 Cash back at the register...in Israel? I wrote a couple of months back on a proposal by the Ministry of Industry, Trade and Labor to implement new laws making it easier to get your money back on purchases made in Israel. In my previous post, the backing was primarily from two lawyers within the ministry. Now head of the ministry, MK Benjamin Ben-Eliezer, has thrown his weight behind the initiative and is taking the proposed change to the Knesset Economic Affairs Committee. Haaretz presents additional details on how the law would work. The return of money must be made in the same manner as it was paid, therefore credit card refund for those types of purchases, and cash for checks and cash purchases. The purchase must have been over NIS 50 and you need to bring in a receipt or proof of purchase. 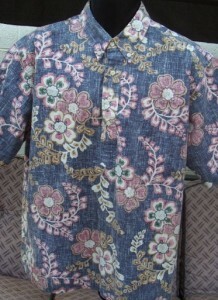 Clothing and shoes must in their original packaging and must be returned within 24 hours. Underwear can’t be returned at all. For most other goods and services (including gifts and purchases with gift certificates), the return period is two weeks. The list of covered services is generous and includes lodging; transportation; entertainment; courses; aesthetic and cosmetic services; vacation packages; communications services such as cellular telephones; memberships in gyms or spas; and gambling and dating services, among others. Excluded from the proposed new law: furniture that is installed in the customer’s home or merchandise produced especially for the customer. Food, drugs and nutritional supplements are also not included. And of course – this being Israel – there are a few catches. For example, every return of a product or cancellation of a service will cost the consumer 5% of the value of the transaction or NIS 100, whichever is less. In some cases, such as electrical and electronic items, the store can charge a 10% cancellation fee if the original packaging has been opened. Still, it’s a big step forward. Let’s hope “Fuad” (Ben-Eliezer’s nickname) can make it so. Posted in In the News. Tagged with Israel, news. I was interviewed this week on Doug Goldstein’s “Goldstein on Gelt” program on Rusty Mike Radio. It’s a fun and lively program and I think it will provide you some tips on saving money, as well as what I do for my clients. 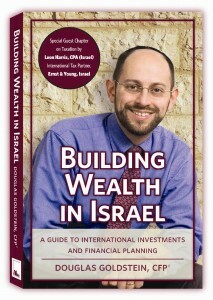 Doug is the author of “Building Wealth in Israel. Here’s the link to listen to the interview on the show. Enjoy! Posted in In the News. Tagged with Radio. How often has this happened to you? You set a time with a technician to come over to fix an appliance – a dishwasher, fridge – or something else ailing the house (electricity, cable, Internet). The repair person gives you a slot from 1-3 and you arrange your schedule to stay home from work. 3:00 PM comes, no technician. 4:00 PM, then 5:00 PM. You’ve just wasted half a day before your fix-it guy comes waddling in at quarter to 6. 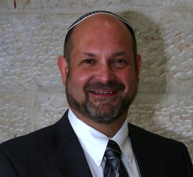 Tzvi Szajnbrum, a lawyer who runs the helpful Voleh (that’s “virtual oleh”) website aimed at helping new immigrants to Israel, summarized the new law and has given me permission to reprint his comments here on my blog. He points out that we’re only talking about service in your home or workplace, not service you receive at a store. And the law is primarily during the warranty period. The provider must stipulate a day and an hour the service will be given. The waiting time for a technician cannot be longer than two hours more than the given time. The grace period is two hours only. The provider is entitled to offer the consumer to wait for a phone call in place of giving a specific time, on condition that the waiting time of the consumer in his home will not be longer than 2 hours. The provider must also clarify to the consumer that this method is only a suggestion, and the consumer is not obligated to accept this. The provider is entitled to notify the consumer until 8:00 PM the day before the specified day of arrival of any change of time of services or a cancellation. The above-mentioned rule was not made to infringe on the rights of the consumer. Any existing rule concerning the rights of the consumer before this new law came into effect will not be affected. As an example: the law stipulates that from the moment the consumer asks for a technician to repair a washing machine, the provider has 3 working days to provide this service. For a freezer or a refrigerator, it is one day. So let’s say on Sunday the consumer asks for service to repair a washing machine. The date is settled for Wednesday morning. In this case, the provider cannot call on Tuesday until 8 pm to cancel the visit for Wednesday, because this will clash with the consumer’s rights to receive this service within 3 days. The consumer is entitled to compensation without having to prove any damages. To clarify this point, let’s say the consumer has two refrigerators. One breaks down and the consumer calls for a technician, who does not appear within the specified time. Even though there were no damages to the consumer, because he could easily use the second refrigerator, he is still entitled to the compensation stipulated by law.The consumer will be entitled to more compensation if he had actual unlimited damages of any kind. In this case, the consumer is obligated to give proof of the damages. As an example, the consumer did not have a refrigerator in working condition and the technician did not arrive in the stipulated time, and as a result there was an actual loss (the food spoiled, etc.). In this case, the consumer can sue the provider by the Law of Damages for unlimited damages, if he can prove it. A delay of more than 2 hours of the stipulated time of arrival (4 waiting hours in total), entitles the consumer to compensation of 300 shekels. A delay of more than 3 hours of the stipulated time of arrival (5 waiting hours in total), entitles the consumer to compensation of 600 shekels. If the time specified was according to what was said in clause 3 above (waiting for a phone call) and there was a delay for more than 2 hours, or the provider did not explain to the consumer that he has the right to refuse this proposition, this entitles the consumer to 300 shekels compensation. The provider is entitled to offer monetary compensation, products or any kind of coupon, etc., for the same amount, but only with the agreement of the consumer. The burden of proof that the consumer agreed to anything other than monetary compensation is on the provider. In the case that the provider could not anticipate any delay in providing the service, or could not know in advance (for example, if the technician had a bad car accident on the way to the consumer’s home or extreme and severe weather conditions that prevented the technician from arriving) then the provider is exempt from providing compensation. How do you actually receive your compensation? When claiming compensation (and not the damages stipulated in paragraph 7), contact the provider by phone or fax. Always keep a record of all paperwork, phone calls, etc. If the provider refuses to pay, the consumer can either contact our organization and we will write a letter or you can sue using the Small Claims Court. You can visit Tzvi’s website where there is an enormous amount of valuable tips and tricks from family law to driver’s training. Thanks Tzvi! Posted in In the News, Saving Money. Tagged with Consumer, news, Saving Money.